A Tentative Agreement Has Been Reached Between the MTA and LIRR Unions. Click Here for More Information. The looming Long Island Rail Road union strike is likely going to put lots of commuters in a bind when it comes to commuting to and from New York City. Luckily Long Islanders looking to get to work, many of the local bus companies, ferry lines, and other local transit authorities have stepped up with the offer of extended service hours, stops, and availabilities. Whether you're looking to head out to the East End for a day of relaxation and fun, or you're simply looking for the best way to get to work, we've got you covered with the scoop on all of the best travel and transit alternatives to simplify your commute during the LIRR Strike. The MTA has arranged for service between Glen Cove and E 34th Street/Midtown Manhattan for no additional charge should there be an LIRR strike on and after July 20. The service will run during peak hours in peak directions only. 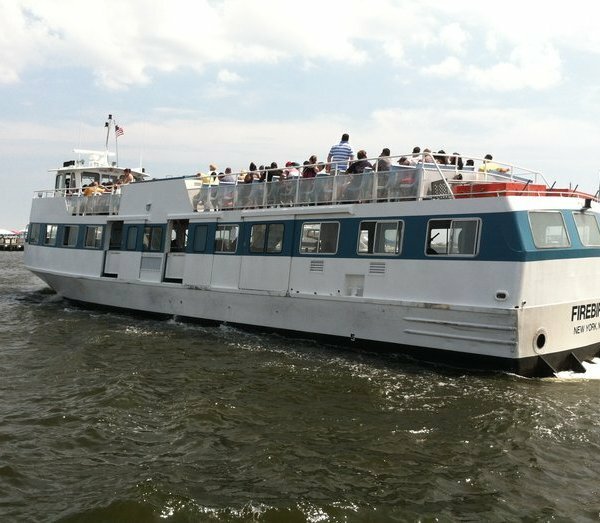 LIRR tickets will be cross-honored; the ferry will run to Manhattan in the morning and back to the Glen Cove Dock in the evening. The E 34th Street dock in NYC is operated by the M34 SBS bus. Seating will be limited to 500 passengers and will be granted on a first come, first serve basis. At this time the MTA has not determined a final schedule, but LongIsland.com will update this page when that information becomes available. Three eastbound trips in the morning and three westbound trips in the evening are presently planned. For more information, click here. Until such time as LIRR service has resumed, 7Bus will offer the special discount pricing of $10 for a one-way trip; all regular fares will be suspended during the strike. Additionally, commuter departure times of 5:30 AM, 6:35 AM, and 7:30 AM will be moved one hour earlier in anticipation of traffic delays. Starting on the first weekday of the strike 7Bus will not travel into Manhattan, but will drop-off and pick-up at the Woodhaven Boulevard subway stop which connects to the M, R, and (at night) E trains. Should the strike last an extenuating length of time and traffic begin to allow a shorter trip into and out of Manhatan, 7Bus will resume service to Manhattan. Click here for a full 7Bus schedule. Looking for an easy way to travel around Nassau or Suffolk County? You're in luck! Both counties offer reliable bus services with frequent stops at numerous points of interest. Many of the bus lines include stops at local train stations, malls, business centers, and other transit hubs. If you're out & about on Long Island, and you can't hop on the train, then the buses are a great alternative. Click above for all of the local lines & schedule information for both the Suffolk Transit Bus Service, and the Nassau Inter-County Express Bus Service. The MTA has further arranged for 350 additional buses to run from locations in Nassau and Suffolk to subway stations in Queens. The shuttle buses are expected to handle 15,000 customers per day and will operate westbound from 4-7 AM and eastbound from 3-7 PM. Shuttles in Suffolk will pick customers up at the Ronkonkoma and Deer Park LIRR stations, and connect them to the 7 subway station at Mets-Willets Point/Citi Field. For Nassau passengers, buses will travel from the Manhasset LIRR station to Citi Field; the Seaford, Bellmore, and Freeport LIRR stations as well as Nassau Community College to the A subway station at Howard Beach; and the Hicksville LIRR station to the M & R subway station at Woodhaven Boulevard. If you are able to work remotely, it may be best to plan to do so as often as possible during the strike. Many other Long Islanders will be competing for space on the ferry and busses and others will be driving into the city which is sure to create traffic congestion, which means that you could save a lot of time and frustration by working from home. If working out of your house is not a viable option, consider a local library or coffee shop with WiFi access, but be mindful that these are public spaces and you should only try to work from them if you can do so quietly (typing on your laptop is perfectly acceptable, but calling clients on your cellphone is sure to disrupt other patrons). Nassau County Executive Edward Mangano has also opened offices at the Morrelly Homeland Security Center in Bethpage for free use by telecommuters. Space in the 30,000 square-foot office building will be available on a first come, first serve base. The building is located at 510 Grumman Road W in Bethpage. To reserve a desk, call 516-573-9792. Many Long Islanders who would normally take the train will doubtless try to drive into Manhattan during the LIRR strike. This will cause a sharp increase in traffic and a corresponding rise in congestion and travel time. To counter the inevitable traffic jams and encourage car pooling, the High Occupancy Vehicle lane on the Long Island Expressway will be expanded to require three people in a car during the strike rather than the usual requirement of only two. The MTA has also arranged for the use of additional park and ride locations where commuters can drive part of the way then join up to carpool for the rest of their commute. In Nassau Bethpage State Park will have 1100 parking spots, 550 of which will be for carpools; Hempstead Lake State park in West Hempstead will have 796 total spaces, of which 398 will be for carpools; and Valley Stream State Park will have 652 spaces, 352 of which will be for carpools. In Suffolk County West Babylon’s Belmont Lake State Park will have 1312 parking spaces available, 656 of which will be for carpools; Farmingdale State College will have 1000 spaces exclusively for carpools; Hecksher State Park in West Babylon will have 5000 parking spaces, of which 2500 will be for carpools; and Sunken Meadow State Park in Kings Park will have 7000 total spaces, 3000 of which will be for carpools. Additionally, 4000 spaces will be available at Citi Field which connects to the 7 subway, and 3000 spaces will be open at the Aqueduct Racetrack which connects to the A subway. Get up to the minute updates on traffic congestion on Long Island's roadways right here! Whether you're taking the Sag down to the South Shore, taking the Long Island Expressway into Queens, or hopping onto the Northern to head out to Nassau, we've got you covered with traffic updates for all of Long Island's roadways, so that you can plan the best route before hitting the road! Curious how congested your regular commute will be? Check out the traffic from a bird's eye view over in the LongIsland.com Traffic Camera Center! Here, you can view LIVE traffic cameras on all of LI's biggest roadways, and at all of the biggest intersections across Long Island, making it easier than ever before to plan ahead and miss the traffic jams. Do you know of another alternative for commuting during the strike? Let us know, and we'll update this page to let locals know how to get moving!